Middleton Railway 19th July 2015. Beatrice is a 0-6-0ST Hunslet which had come for the event from the Embsay and Bolton Abbey railway. The locomotive is running round ithe train , on the 19th July 2015 at the Middleton Park railway station of the Middleton Railway at Hunslet in Leeds, on the Sunday during the Hunslet 150 event. Beatrice a 0-6-0ST Hunslet on the Balm Road branch. 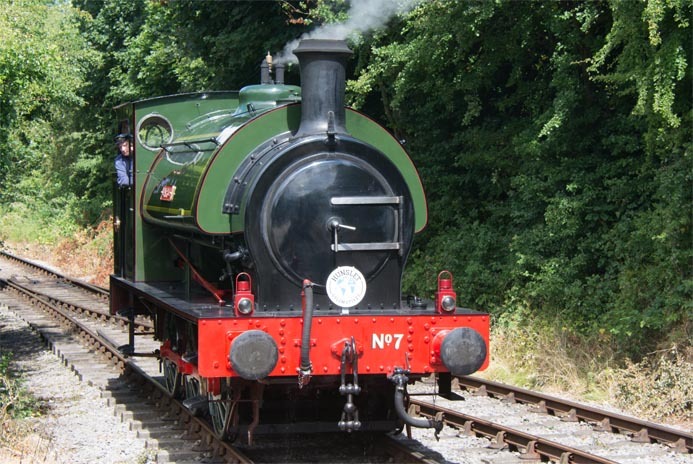 The Middleton Railway is a standard gauge railway that is run by volunteers. The railway runs it trains between Moor Road station and Middleton Park, in Hunslet in the south of Leeds. The Middleton Railway is the world’s oldest working railway. 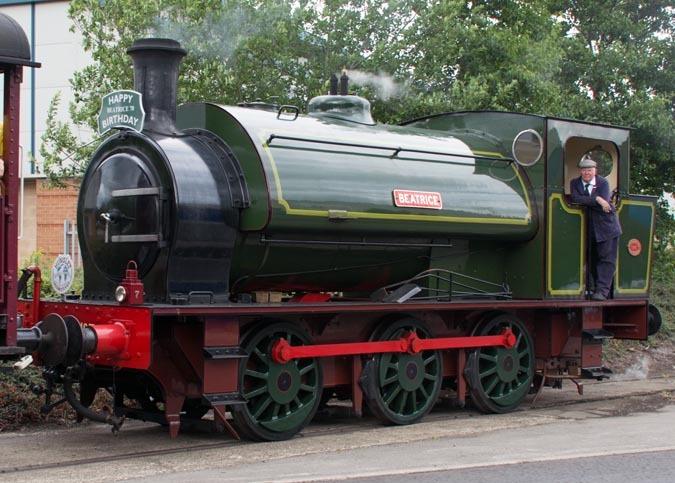 On the 18th &19th of July 2015 The Middleton Railway held a Hunslet 150 event. This event was to elebrate the 150th anniversary of the Hunslet Engine Company a famous producer of both steam and diesel locomotives and other engineering products in Leeds. As well as trains between the Moor Road station and Middleton Park station, trains also operated over the Balm Road branch. There were also two narrow gage Hunslet steam locomotives at what was the Hunslet works site on Jack Lane on temporary narrow gauge track laid just for the weekend in the car park at Schneider Electric. A vintage bus being laid on by the railway to ferry people between Moor Road and Jack Lane. This website is Ukrailways1970tilltoday.me.uk it is on railways but it is not just on trains but all things railways, with photos, which I have taken from the 1970s till now. I take photos of all things railways, steam diesel and electric trains, signal boxes, wagons any thing that is on the National Rail network, which was BR when I started taken photos. This page is about Hunslet 150 event in 2015. Today Virgin East Coast, GBRf,and First Great Western are just some of the names on the trains. These names keep changing, but that means I have to keep taking photos. I also take photos of preserved railways with steam diesel and electric trains.There is lots more to add and I keep taking More!